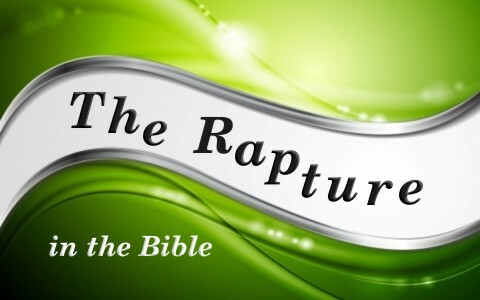 Where Does The Bible Mention The Rapture? Where does the Bible mention the rapture? Is the rapture true? The word rapture comes from the idea that we will be “caught up” (Greek, “harpazo”) to be with the Lord before the tribulation comes. The words “caught up” come from the Greek and mean to “be taken by force,” almost as strong a word as kidnapping, so the rapture is a belief that Christians will be caught away in a secret coming of Jesus Christ Who will gather all believers to Himself. Some teach that He will take all of the believers out of the world before the Great Tribulation comes. In this way, Christians will not have to go through the tribulation, but some believe they will be raptured during the middle of the tribulation. Either way, many believe that the rapture is part of God’s secret wisdom where all believers will be removed from the earth, and then all “hell” literally breaks out on earth. There are also many who believe that the tribulation already came in AD 70 with the destruction of Jerusalem, including the temple, and that this was foretold by Jesus during the so-called Olivet Prophecies in Matthew 24. They believe this because Jesus said that “there are some standing here who will not taste death until they see the Son of Man coming in his kingdom” (Matt 16:28), and that coming, in this case, was God’s judgment on Jerusalem, who as a whole, rejected Jesus Christ. For certain, all believers “wait for his Son from heaven, whom he raised from the dead, Jesus who delivers us from the wrath to come” (1st Thess 1:10), but not all agree on the rapture and the Great Tribulation or even if they are biblical. I hope I don’t shock you, but really, that’s okay. How old is the teaching about the rapture? The roots of this belief go back to 1590 where a Jesuit Priest (Francisco Ribera) taught about a 3 & ½ year tribulation. The next reference is with the 17th century Puritans who believed in an escape from God’s wrath, so the man credited with this belief, John Nelson Darby (in 1827), had several others who held to this idea before he did, but these were in the minority. So has the rapture of the church always been taught from the very beginning? It doesn’t look that way from church history because of the roaring silence on this subject in the writings from the early church fathers. Some would argue yes because of the Apostle Paul’s writing that “we who are alive, who are left until the coming of the Lord, will not precede those who have fallen asleep. For the Lord himself will descend from heaven with a cry of command, with the voice of an archangel, and with the sound of the trumpet of God. And the dead in Christ will rise first. Then we who are alive, who are left, will be caught up together with them in the clouds to meet the Lord in the air, and so we will always be with the Lord” (1st Thess 4:15-17). Jesus and Paul have both said that no one knows when His coming will be. Paul wrote that “the day of the Lord will come like a thief in the night” (1st Thess 5:2), the very same language Jesus used in describing His coming, and since it’s always night somewhere on the earth, this means He could come, day or night, for what’s night in one place is day in another. Those who believe in the rapture believe we won’t have to face God’s coming wrath (Rom 5:9), and speaking of the end, Paul says “We shall not all sleep, but we shall all be changed” (1st Cor 15:51), meaning some will not be dead at Christ’s appearing, but “in a moment, in the twinkling of an eye, at the last trumpet. For the trumpet will sound, and the dead will be raised imperishable, and we shall be changed” (1st Cor 15:52). Some Bible scholars and theologians see some discrepancies about the belief that there will be a secret coming or secret rapture. For one thing, the angels said after Jesus’ ascended up to heaven, “This Jesus, who was taken up from you into heaven, will come in the same way as you saw him go into heaven” (Acts 1:11), and the Apostle John wrote Jesus’ revelation to him, saying “Behold, he is coming with the clouds, and every eye will see him, even those who pierced him, and all tribes of the earth will wail on account of him. Even so. Amen” (Rev 1:7). It would seem that “every eye” would by necessity mean everyone living on the earth at the time, but even those who have died (Dan 12:2-3). After Jesus gives His Olivet Prophecy, He concludes by saying “then they will see the Son of Man coming in clouds with great power and glory” (Mark 13:26). Right after every one will “see the Son of Man coming,” Jesus will “send his angels and gather his elect from the four winds, from the ends of the earth to the ends of the heavens” (Mark 13:27), so first off in this order; everyone sees Jesus coming in great power and glory, and then He gathers the elect (Christians) from all over the earth. This would seem to make the rapture pointless since if every eye will see Him, and then next, He gathers His church from all over the world, what is it about this that’s secret? Just before Paul wrote that all Israel will eventually be saved, he wrote that “a partial hardening has come upon Israel, until the fullness of the Gentiles has come in” (Rom 11:25). It is true that present-day Israel is not receptive to Jesus being the Messiah, so the hardening of the Jews is still occurring, so what is this fullness of “the Gentiles” that is to come? Is this when God will have saved the very last one He plans to save, and then the end comes? Is there a certain person who will be the last one to be saved and thus, fulfill the time of the Gentiles, and then all of Israel will finally be saved? This verse is not enough to suggest that conclusively. The fullness of the Gentiles could be when their time is up, meaning we’re still in the time of the Gentiles and that will end with the literal, physical return of Jesus Christ. Jesus did say, “Every eye shall see” Him. I have seen so many different beliefs on the rapture and the tribulation that all views cannot possibly be true, and since they can’t all be true, some of these views must be wrong. What we do know is that there are not many paths to God, and Jesus is just one of those many paths. Not true. He declared He is the only way to be saved (Acts 4:12). We can’t even come to the Father except through Christ (John 6:44), which absolutely excludes all others. Since there are so many conflicting views about the rapture, we should show grace to those who don’t agree with us. It’s unwise to divide over something that doesn’t affect our salvation. We can be wrong about the tribulation and still be saved. We can be off on the tribulation but still enter the kingdom. We don’t have to know all mysteries to know how to be saved, because the main things are the plain things, and these main things are the non-negotiable things (Rom 10:9-3). If we believe that Jesus is not God, and He was only a man or a prophet, we’ve got the wrong Savior, so you must have the right Jesus (having the right Savior) or you will not be saved. Let us show grace, longsuffering, and patience with those who believe differently than we do about non-essentials (like tongues), and just agree to disagree, however let us all agree on the facts that Jesus was born of a virgin, is both God and Man, lived a sinless life, and was crucified and rose again on the third day, and died to reconcile us back to God. Today He lives to intercede for the saints. These are the essentials that we must all agree on or we can’t call ourselves Christians. There is often a lot of tension during Sunday school and Bible studies over these issues, therefore, I think it’s wise to avoid teaching those things which tend to divide, and focus on the things that tend to unify us (Acts 16;30-31), because on these essentials, we can all stand in agreement and stand our ground. It is only on this solid Rock we must stand…because all else is sinking sand. More on this subject here: What is the Tribulation Period?